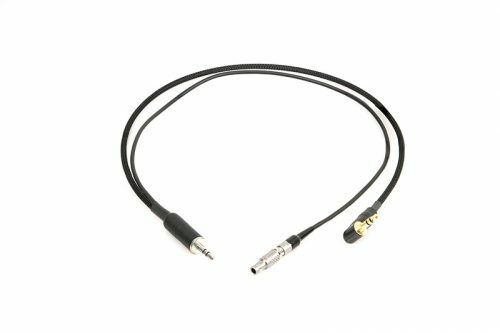 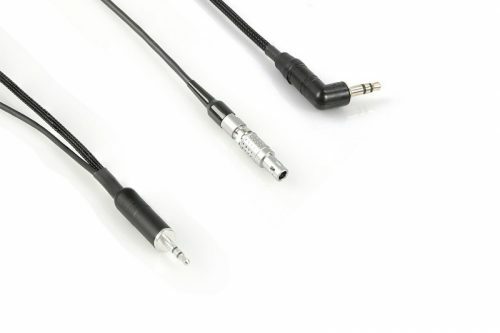 Unbalanced breakout cable for Zaxcom ERX to Red Epic or Scarlet. Timecode on left channel. 3.5mm TRS plug to 4-pin Lemo M and 3.5mm RA plug.